Maiken2051.com - Do I wanna know? It's the old dilemma: do you want to know what's coming, or do you want to be surprised? 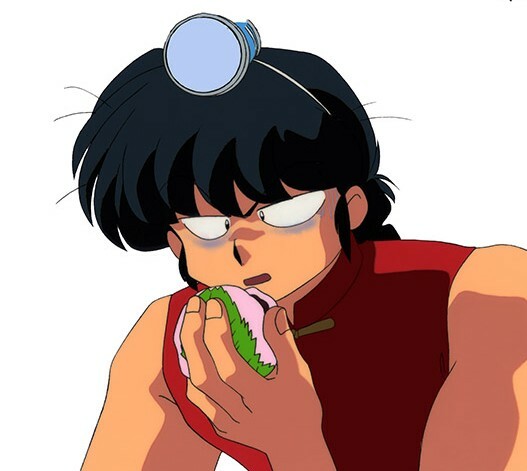 Ranma is holding a mochi that will reveal who's most compatible with Akane. 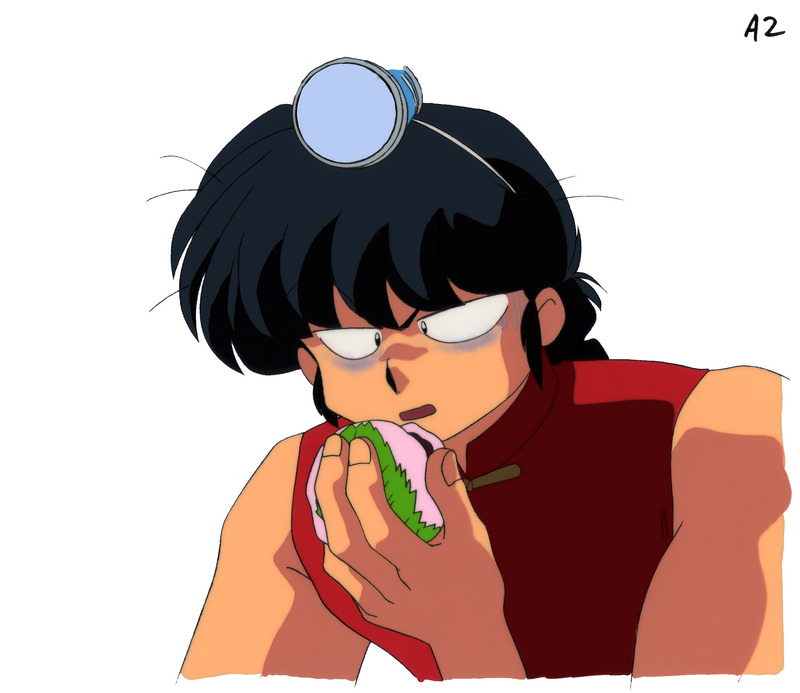 Of course he already knows the truth, but the thought of seeing visual evidence still scares him.